Rentacomputer.com offers computer and technology rentals to all 50 states in the country and even delivers to other countries like Canada, the U.K., Mexico and Australia. However, one of the biggest markets for Rentacomputer.com is most definitely Texas. Being the second largest state in the country means that there is a great need for personal or corporate technology rentals in many different locations. Since Texas is so big, there is a need for a lot of technicians to handle such a large area. Rentacomputer.com employs 3,441 members of the Tech Army Organization to provide quick and easy local support for its many customers in Texas. Each and every one of these professional technicians is ready and willing to assist you with any and all technology rentals you get from Rentacomputer.com. 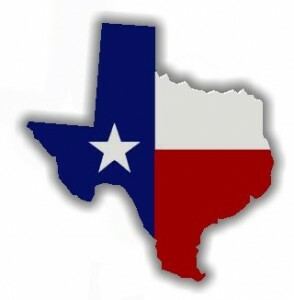 Rentacomputer.com also canvases the entire state of Texas, offering services to almost any city including Abilene, Amarillo, Arlington, Austin, Beaumont, Brownsville, Carrollton, Corpus Christie, Dallas, El Paso, Fort Worth, Garland, Grand Prairie, Houston, Irving, Katy, Killeen, Laredo, Lubbock, Mcallen, Mesquite, Midland, Mission, Odessa, Pasadena, Plano, San Antonio, Spring, Tyler, Waco and more! Technology rentals are a lucrative business in Texas. Rentacomputer.com takes advantage of that by offering the state’s citizens computer, audio/visual equipment, office equipment, wireless and server rentals and also works with you to come up with a completely customized rental program for your next meeting, trade show, conference or convention. In addition to offering technology rentals, Rentacomputer.com also offers other options. Rentacomputer.com knows that a rental agreement is sometimes not enough, offering leasing options if you are interested in purchasing. Purchase used equipment from Rentacomputer.com’s vast used equipment inventory that includes laptops, desktops, tablets, servers and more at a fraction of the device’s retail price. So if you are planning on heading to a convention, conference or trade show in Texas or are planning on presenting at a meeting, you should consider a Texas Technology Rental from Rentacomputer.com. With over 20 years in the business, Rentacomputer.com knows a thing or two about renting computers. This entry was posted in Computer Rental, Technology Rental and tagged Computer Rentals, technology rentals, texas, Texas Computer Rentals, Texas technology rentals. Bookmark the permalink.